Dodge built 26,658 Challengers for the 1972 model year. 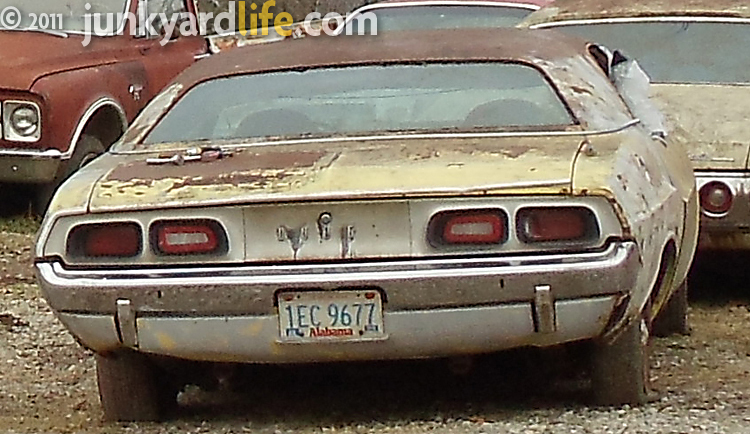 This car, rescued from a yard, is now for sale on Craigslist, yippee! Car hoarders take notice... you can't take it with you. That prize collection of muscle cars that you've spent decades acquiring will be sold soon after you die. This 1972 Dodge Challenger was among eight vehicles sold by the wife of a man who had amassed a yard full of 1972-and-older vehicles. The emotional bond he felt with his project cars did not transfer to his wife upon his death. 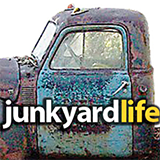 Once the hubby passed away, the wife felt compelled to sell his rusting relics to a local wrecker company owner. 1972 Challenger wearing Mopar's code Y1 Top Banana paint. Dean Chitty, owner of Foster's Wrecker service in Center Point, Alabama, was fortunate enough to purchase the collection of two Challengers and six Chevelles. Chitty plans to sell most of the vehicles on Craigslist. Two Chevelles, a 1970 and 1972, have been sold so far. By finding new owners, he is giving these vehicles a new lease on life. Another decade parked outdoors, would spell doom for these classics. Chitty is asking $4,500 for this V8, automatic Challenger. You wouldn't sell your spouse's project '72 Dodge Challenger, would you? Automatic equipped '72 Dodge Challenger sporting mostly original interior parts. 1972 was the first year of the sad-faced grill Challengers. Standard 1972 Challenger gauges, not Rallye gauges. The '72 Dodge's original, polished two spoke steering wheel almost makes you forget the missing shifter knob. 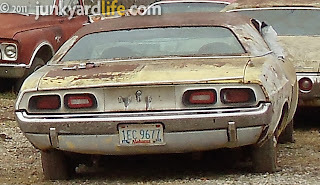 Tail lights were redesigned for the '72 Challenger model year. Soap, water and elbow grease would help make this Challenger's interior shine. 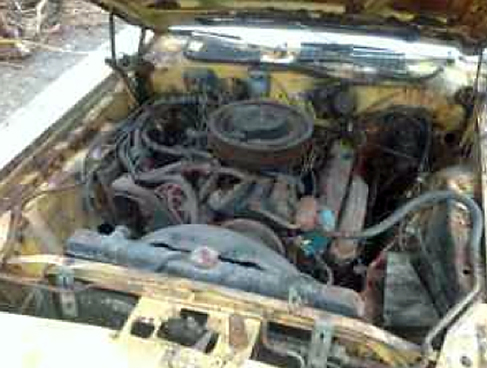 Chitty's Craiglist ad says it's a 400 big block V8, all-original matching numbers Challenger. See VIN in next photo and you decide. Vin #JH23G2B347851 - I think 5th digit means a 318 ci V8 Challenger. Do you guys still have a challenger 1972-4?